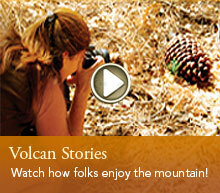 Click here to volunteer with VMF's Wildlife Imaging Team! 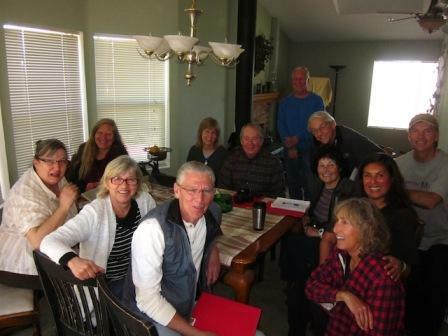 In 2015, a group of curious Volcan Mountain Foundation volunteers inspired by a library presentation on mountain lions given by State Parks biologist, Mike Puzzo, came together to form VMF's Wildlife Imaging Team, or as they like to refer to themselves: the WITs. Kathleen Beck, at the time, VMF's Education Coordinator, had coordinated the presentation, and a year earlier was herself inspired by the mountain lion photos captured by the camera of VMF neighbor Don Whitson. 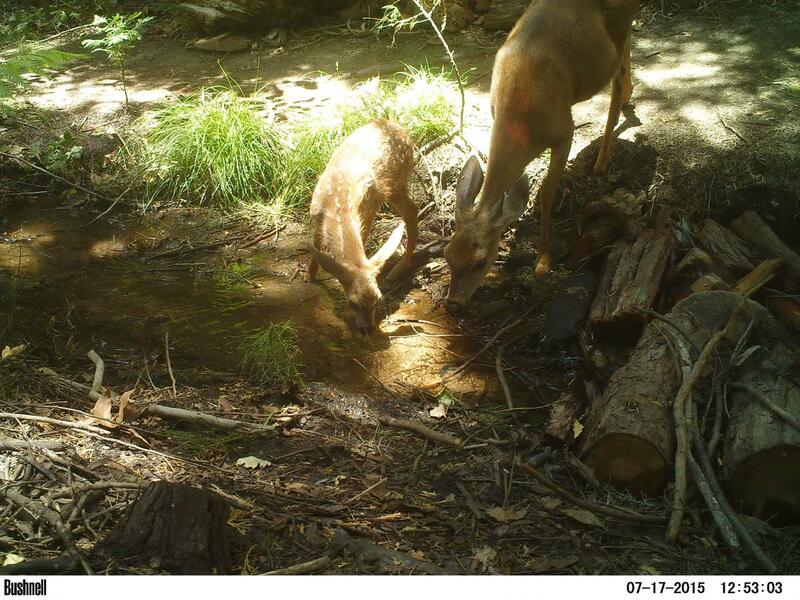 She led VMF's efforts to purchase six remote trail cameras to learn about wildlife on the nearly 400 acres of Volcan Mountain that are owned and managed by the Volcan Mountain Foundation. In January of 2014, with the determined assistance of Volcan Volunteer, Sheana Fry, the six cameras were placed around VMF's Volcan Mountain Nature Center and Sky Island properties along trails and in different habitats like the riparian zone of the Santa Ysabel Creek headwaters. In addition to the many deer and turkey, there were bobcat, coyote, gray fox, squirrel, raccoon, opossum and various birds. Some of the most exciting photos captured were of mountain lions roaming the upper property trails. Maintaining and monitoring the cameras that were monitoring the wildlife was done with steadfast persistence by Ms. Beck, Ms. Fry, and Kris Jacobsen, then a new VMF Board Member. It was a time-consuming effort for the group of three, and they were also working out the best practices for collecting, organizing, storing and analyzing images. The old adage of many hands make light work, was exactly what this wildlife monitoring project needed, and several volunteers came forward at that January library presentation to establish the core of the Wildlife Imaging Team. In addition to Beck, Fry and Jacobsen, there was Bill & Susan Carter, Mark & Sophia Lowder, Alan Marvin, Jerry & Maryann Miller, Jane Santorumn, and Don Whitson that formed that core group and have been continuing that steadfast maintenance and monitoring of the cameras. About the same time, Mike Puzzo connected VMF with Point Loma Nazarene University Conservation Biology professor, Dr. Mike Mooring, who since 2010 has been leading his summer research students to Costa Rica to conduct field research on the large mammals of the Talamanca cloud forests. Dr. Mooring was looking for a field study site in San Diego where his students could learn how to conduct wildlife monitoring research with remote camera traps during the school year. That was the start of what is becoming a beautiful partnership between the Volcan Mountain Foundation and Point Loma Nazarene University. Dr. Mooring's students conducted research over a six-week period in the spring of 2015 and submitted an analysis of that research to VMF. 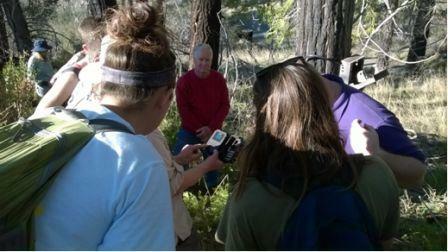 The goal is to get a coordinated wildlife monitoring framework with the volunteers and partners on VMF-owned property. The broader goal is to see ongoing wildlife monitoring activities connected throughout lands owned and managed by different agencies throughout the 15-mile long Volcan Mountain Range and as well as parts of its adjacent watersheds. Although there have been biological surveys done around other areas of Volcan Mountain (mainly prior to the major wildfires), and there have been many observational reports of commonly seen animals around VMF-managed property, actually confirming the presence of what species make their home on VMF property will be key to the long-term protection of those species and the habitat they need to survive. The Wildlife Imaging Team is an exciting opportunity to monitor and study the wildlife that make their home on Volcan Mountain...please come along on the exploration!